St. Patrick’s Day weekend has arrived, Hoboken, and per usual, we’re ready to celebrate with the Irish Stroll bar crawl. 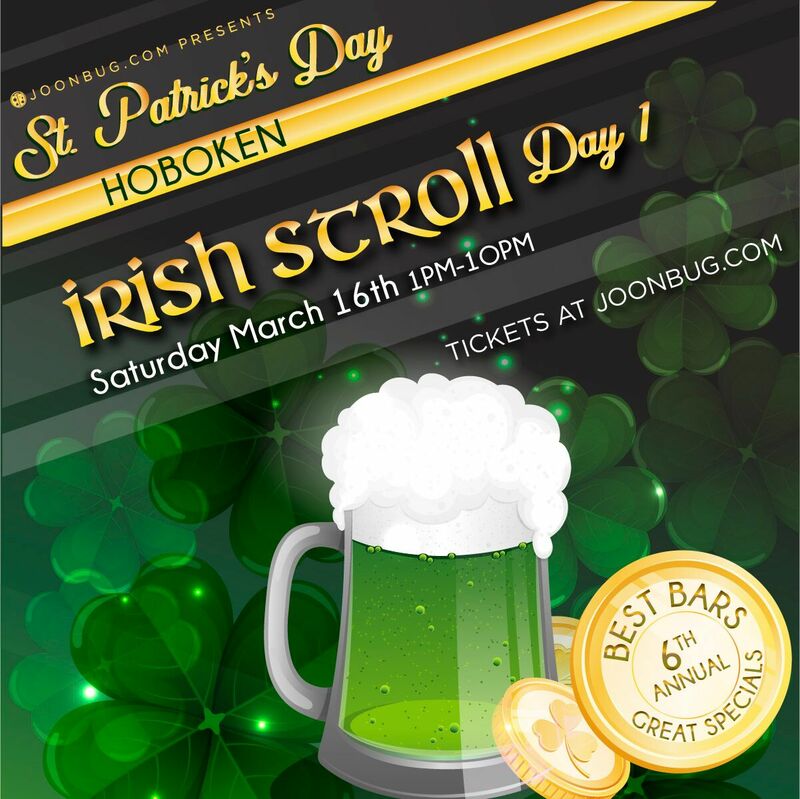 This is Day One of the Hoboken Irish Stroll, and the whole city is ready to pick up where we left off the night before at the Lucky Hour party. Celebrate the Emerald Isle with everything you’ve got on the bar hop that brings out New Jersey’s most spirited crawlers. Every locale will have exclusive drink specials and there will be no cover charges all day or night. Honor the Emerald Isle with some shamrock shenanigans this St. Patrick’s Day on the Irish Stroll! Tell your friends to meet at the registration point from 1pm to 8pm to pick up your wristband and map that steers you to all of the crawl’s festivities. If you’re going with a crew take advantage of the discount for over four! Experience all three days of events with a multi-day pass for non-stop celebrating.